A possibly crazy solution to the problem of online scalper mills. The Wall Street Journal reports on a fascinating lawsuit today. Ticketmaster has filed a claim against RMG Technologies, a small firm in Pittsburg that makes software to help scalpers snap up huge blocks of tickets for popular shows. The upshot: The scalpers effectively "cut in line" on Ticketmaster's Web site, blocking fans who are looking for face-priced tickets, and making a huge premium on the aftermarket. Case in point: Tickets for the "Best of Both Worlds" tour, the concert built around the popular Disney Channel show "Hannah Montana," are selling on the aftermarket for $237 a pop -- almost four times the face value of $63. According to documents in the case, RMG runs a Web site called TicketBrokerTools.com -- it appears to be offline at the moment -- that can defeat the various measures that Ticketmaster puts in place on its Web site to limit the number of tickets people can buy. For instance, RMG's software can decode Ticketmaster's CAPTCHA -- those fuzzy letters you've got to type in to let the site know you're a human. The company also advises scalpers on how to fool Ticketmaster into thinking that their purchases are coming from different computers. But is suing RMG the right way to defeat scalpers? This is an economic problem, and I think the company can find a simple economic solution. Ticketmaster is selling a good for which demand far outstrips supply, and in such situations, the economic response is straightforward: Ticketmaster needs to find some way to impose a cost that will ration the goods fairly. In the old days, we rationed tickets by waiting in line. This seemed fair, because only the biggest fans would be willing to wait very long. The Web, though, has leveled the ticket-buying process, and it appears the better access hasn't been very good for the fair distribution of tickets. There is a simple way Ticketmaster and entertainers could address this problem -- they could just raise prices. As Silicon Alley points out, if people are willing to pay $200 to watch Miley Cyrus, "Hannah Montana"'s 14-year-old star, why are her concert promoters selling tickets for just $60? But that solution defeats the scalpers only by adopting their ways -- and the fans would still be stuck with expensive tickets. I propose a better way: Make people take a quiz to get tickets to their favorite acts. I'm serious. Here's what I mean. 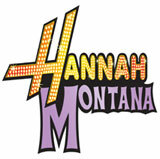 When you select "Hannah Montana" on the Ticketmaster site, the system would ask you three or four multiple-choice questions about the show. Only if you get them right will it let you in to buy tickets. It's like a CAPTCHA, but instead of separating robots from humans, it separates true fans from scalpers and occasional enthusiasts. Ticketmaster could draw its questions from a long list in order to keep the scalpers from learning all of them. To be sure, the scalpers might still find ways to get around the measure -- they could, for instance, hire a "Hannah Montana" expert. Still, it would trip them up, especially if Ticketmaster imposes the plan across all acts. Are the scalpers going to hire Bruce Springsteen expert, a Justin Timberlake expert, and a Genesis expert, too? Ticketmaster: If you want to use my idea, my fee is minimal -- one pair of tickets, whatever show I choose, per month for the next five years. Thanks.